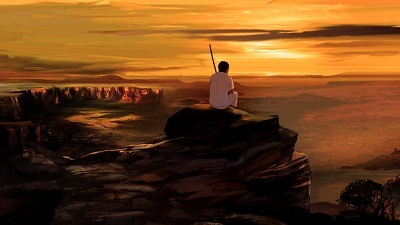 Winner of Best Feature Film at 2013’s Annecy International Animated Film Festival, Rio 2096 – A Story Of Love And Fury revolves around the love between Janaína and an Indian warrior who, upon dying, takes the form of a bird. 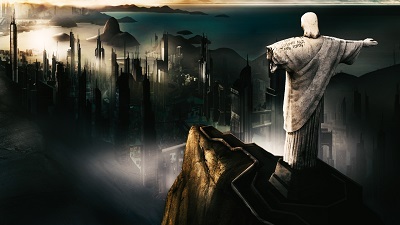 For over six centuries the couple’s story flourishes as it passes through four phases of Brazil’s history: colonization, slavery, military regime and the future — 2096, when a war over water takes place in Rio de Janeiro. Throughout all these periods, the two lovers struggle against oppression. 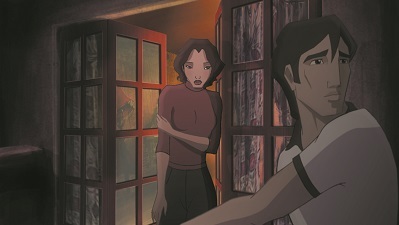 Written and directed by award-winning filmmaker and scriptwriter Luiz Bolognesi (Brainstorm, The Ballroom, Birdwatchers, The Best Things In The World), Rio 2096 – A Story Of Love And Fury is the first Brazilian feature film to have been selected at Annecy since the International Animated Film Festival’s creation in 1960, making its win even more impressive. 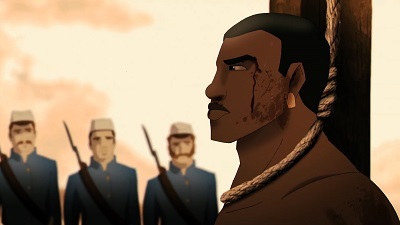 It is the first animated film aimed at adults made in Brazil, and also the first animated film to participate at Premiere Brazil, the competitive section of the Rio Film Festival. 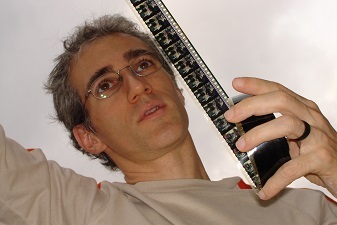 As we wanted to know more about the intriguing film and its unlikely production, we talked about it with no less than its director, Luiz Bolognesi. Animated Views: Mr. Bolognesi, how did you come to animation? 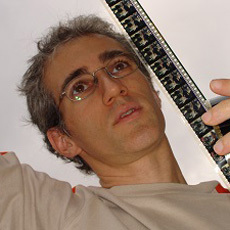 Luiz Bolognesi: I have been working as a screenwriter for years and this is my first feature as a director. I came to animation because this is the “no evil’s land” for a screenwriter. You can write whatever comes to mind — that is not a limit for production. I can travel into history, go to the future, imagine wars in the 16th century or spaceships over Rio in the future. Everything is possible. I love graphic novels and history, so animation became the best way to express what I thought was necessary to say. The medium is perfect for mythology and fantasy and I decided to work with South America’s mythology. AV: How is doing animation in Brazil? LB: It was very difficult to make this film in Brazil. That’s why it came so strong. We don’t have tradition, not even an industry, so we have been working for six years in a very artisanal way. All our team have been working as authors, not in a job. So the weaknesses make us strong. AV: How would you introduce the story of Rio 2096? LB: The film is about the American civilization’s holocaust. We speak a lot about the Jewish holocaust, and it is important for not forgetting, but nobody talks about the American civilizations’ genocide, including yours, in the USA. The idea of working on it comes from the deep feeling of being alive and understanding that art is synonymous with not accepting things as they are. So I decided to tell the history of America from the point of view of the Indians, working hard in their mythology and talking about their strong desire and pain. I studied a lot about the mythology of the Tupinambá and made the dramatic arc with this issue. The storyboard came as a fly that comes when words become images. AV: What did you want to show in focusing on South American history? LB: I believe that if we don’t know the past we can not change the future. AV: What were the narrative and visual challenges of such a story for animation? LB: The challenges were to research the details of each períod of history, and how to make a point of view from a loser that is killed several times, and for him to be accepted as a protagonist. AV: Can you tell me about your vision of women in general through your film — a very important part of your film? AV: Where did you recruit your crew? LB: In schools and publicity studios. AV: Visually, there’s some kind of contrast between the visual simplicity of hand-drawn animation and the complexity and depth of the CG environments. Can you tell me about that aspect, the overall art direction of the movie? LB: I can say it was the best we could do with a 2 million dollar budget for the whole film. I was sure I wanted to work on hand drawn, because it is more beautiful, poetical and makes the animators become coauthors. We worked hard on the backgrounds, and shadows were a special effort for all of the team. 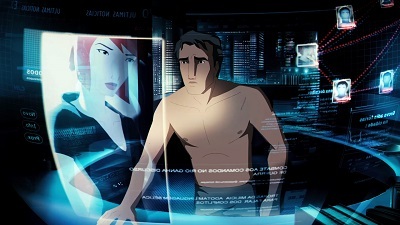 AV: You won the Crystal Prize in Annecy, France. What are your memories of that moment of recognition of your work? LB: It was incredible! We couldn’t imagine such a strong recognition for our radical issue and strong work during 6 years. It was an award for the impossible! AV: What do you hope for your film, now being presented in the US? LB: I hope American people watch my film and think about their history, as I don’t see animation as only entertainment and cash money. 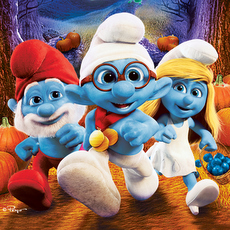 In my country this film represents a feeling that people who love animation can go ahead. 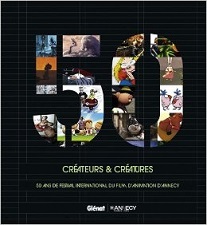 The French/English book Créateurs et créatures: 50 ans de festival international du film d’animation d’Annecy is available to order from Amazon.com! With our thanks to Luiz Bolognesi and Fumi Kitahara. And our best wishes for the Oscars! Up:rising with Story Artist and Dug’s Special Mission‘s Director Ronnie del Carmen!